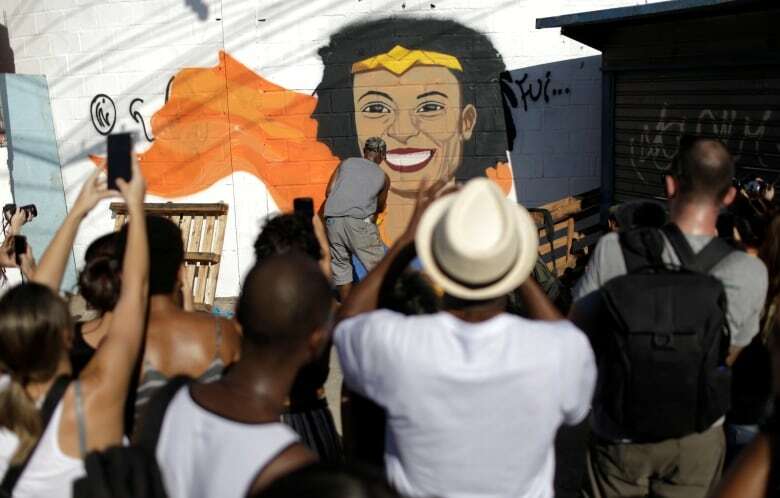 Two former police officers were arrested in Rio de Janeiro on Tuesday in connection with the homicide a year ago of local council member Marielle Franco that led to widespread rallies in Brazil. Two former police officers were arrested in Rio de Janeiro on Tuesday in connection with the killing of a city councillor and her driver, Rio de Janeiro police and prosecutors said. 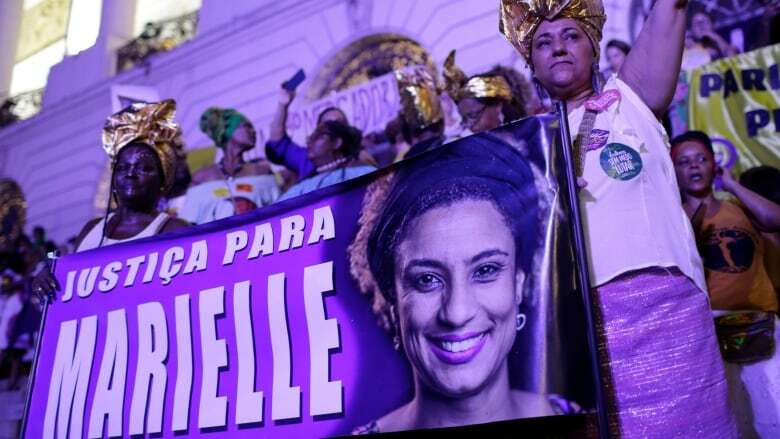 The arrests came on the eve of the first anniversary of the deaths of Marielle Franco and her driver, Anderson Gomes. Ronnie Lessa, a retired military police officer. Élcio Vieira de Queiroz, a police officer who was expelled from the force. "Two police officers were arrested with a direct and effective participation in the crime," said Marcus Vinicius Braga, Rio de Janeiro state police secretary. "With these arrests, we get close to solving the crime." Investigators said Lessa fired the shots that killed Franco and Gomes on March 14, 2018, on the north side of Rio. It's alleged Queiroz drove the car that ambushed the car they were in, investigators said. Elected in 2016, Franco was a member of the left-leaning Socialism and Liberty Party known for her social work in poor and marginalized favelas and for her outspokenness against police violence, which disproportionately affects black residents. Her press secretary, Fernanda Chaves, who was in the same vehicle as Franco and Gomes, suffered minor injuries. The press office for President Jair Bolsonaro did not immediately reply to request for comment. Monica Benicio, Franco's fiancée at the time of her death, tweeted early Tuesday morning after the latest development, wondering in Portuguese on whose behalf the gunmen were acting.